Received this e-mail and photos on February 18, 2005. I took some pictures of my freezing tube panel that you are free to use in anyway, and also included a couple of pictures of it in it's original location. This was one of 9 panels behind the freezing tubes and each was a little different so it's possible to show exactly where this one was because of its unique number and arrangement of the lights. This was the far left one behind Penny's freezing tube. 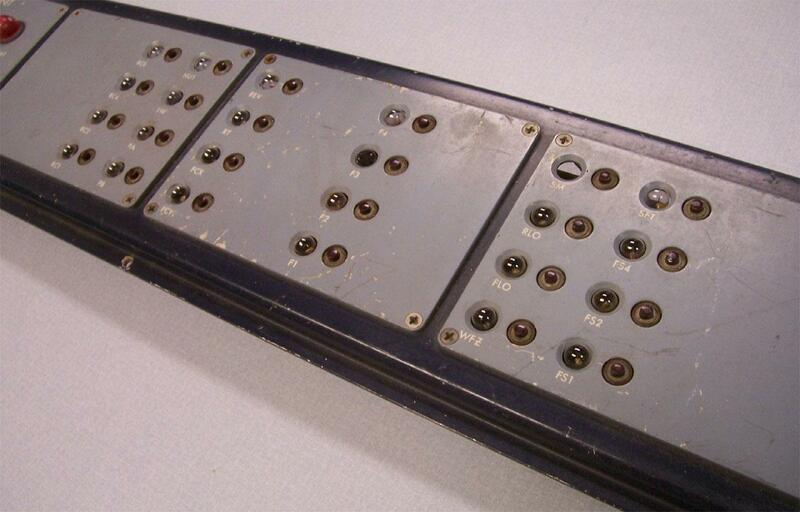 The picture of the back shows how it was rewired to flash certain combinations of lights at a time and at the bottom of the panel there is a little bit of green paint which shows the actual color of the walls of the set. 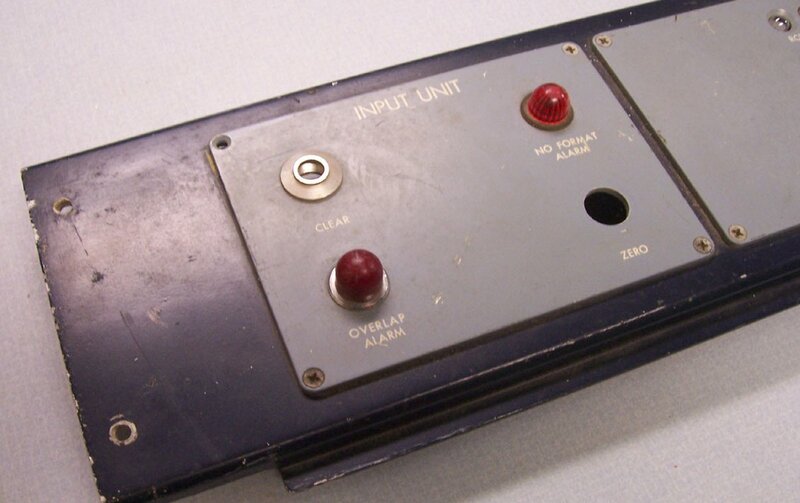 This was a real electronic panel at one time but I don't know if it was military or computer related, there's no brand name or serial numbers on it. The colors on it resemble Burroughs computers but if anyone knows for sure I'd appreciate hearing from them. 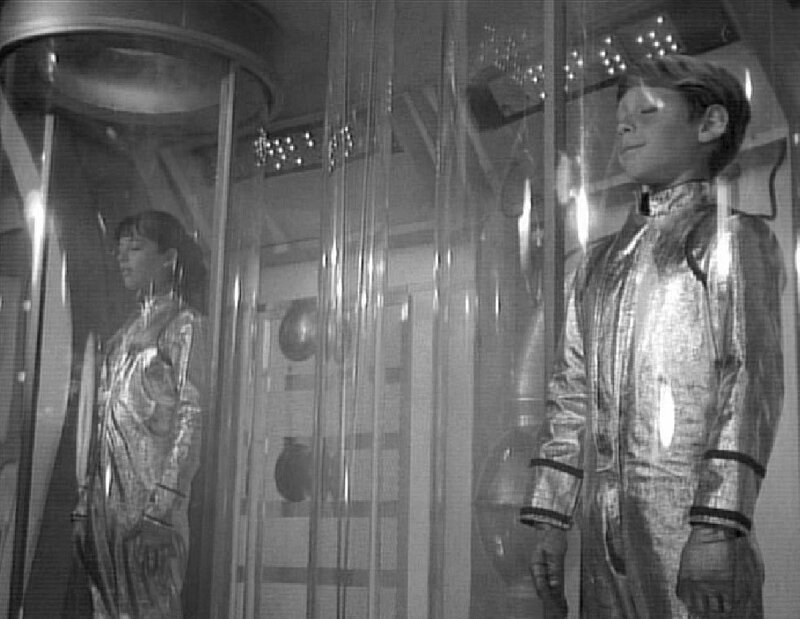 If you want to credit me as owner that is fine and if you'd like to, you could mention my new Yahoo group site I started http://groups.yahoo.com/group/LostinSpaceProps as a forum to discuss Lost in Space props, but I'll let you decide whether or not it fits your description format or how much of my rambling you want to include. I have a friend who is going to send me some pictures of his original props and I can ask him if he would mind adding them to your site. 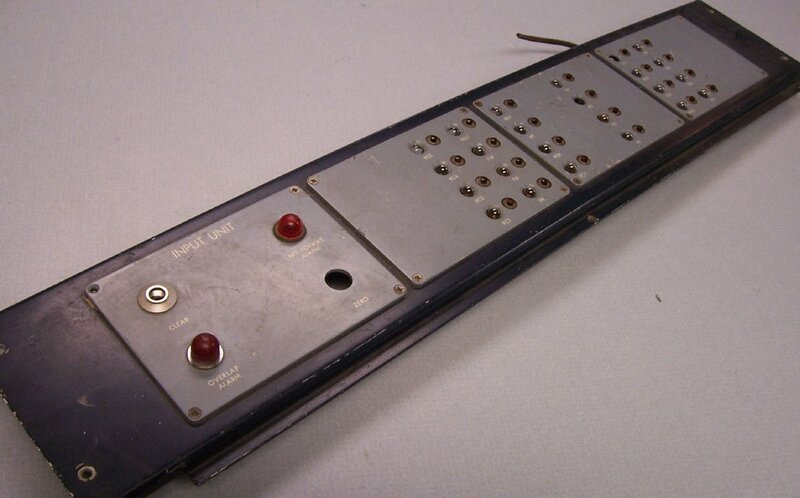 I'm also building a replica panel if you'd like to see that when I'm done. It be used in my Jupiter-2 room but it'll probably take 2 years to finish the whole room and I'll send some pictures of that too when I'm done. 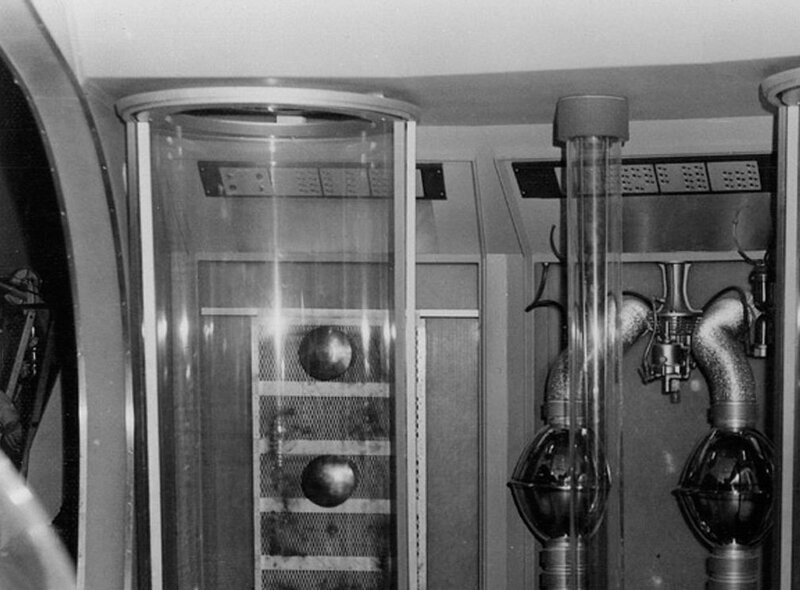 (*) Many thanks, Bill for sharing your great Lost in Space prop with us. Hope we can generate some interest in your new Yahoo group as well?